How are the new HSE sentencing guidelines working out? When HSE sentencing guidelines were strengthened, we predicted a large rise in fines – now we review the evidence. 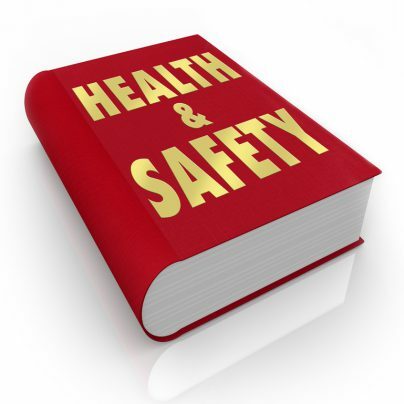 As part of a continued commitment to raising standards, sentences for health and safety offences were considerably strengthened in 2016. At the time, we warned that offending businesses faced a significant increase in fines – so how did that work out? The 2016 sentencing guidelines have indeed had a huge effect. According to figures released by the HSE, fines levied by the courts from 554 health and safety cases totalled £69.9 million for the year 2016/2017. This represents an increase of almost 100% over the previous year when fines totalled £38.8 million. Importantly, the difference stems from just 20 incidents which resulted in fines totalling £30.7 million. Looking at the construction sector specifically, average fines are up 58%. The HSE brought 219 cases to court in 2016/2017, with 206 resulting in a conviction on at least one offence. These cases raised £16 million in fines; the average conviction in the construction sector now costs £77,000. This new norm is more than double the pre-2016 total of £32,000. Interestingly, the increase in revenue from fines coincides with a fall in the total number of prosecutions. The predicted rise in financial penalties has certainly come true. The new sentencing guidelines do seem to be having the desired effect, however. 2016/2017 saw the fewest workplace fatalities since records began; according to the HSE, there were 137 fatalities in the UK. The construction sector recorded 30 deaths, also the lowest number on record. This downward trend is undoubted as a result of continued efforts by employers to raise standards across their sites. As a result, the UK remains one of the safest places to work in the world. The 2016 sentencing guidelines have undoubtedly played a part in helping to improve standards. But the fact that prosecutions have fallen before the fines increased suggests that employers are already committed to protecting workers without the threat of enormous financial penalties. This latest progress in reducing workplace fatalities is great news for UK industry as a whole; this is just 20% of the 1990/1991 total. But 137 people still lost their lives at work last year – so there is much work yet to be done. In the construction sector, almost half of the recorded deaths were caused by falls from height – which is why roofers have such a dangerous job. During 2016/2017 there were 1.37 deaths from falls per 100,000 workers. This is an important statistic because it is three times greater than the rate across all industries, which was just 0.43 per 100,000 workers. If construction firms are serious about driving further safety improvements on site, tasks that involve working at height are an obvious starting point. And with enormous fines being a reality, employers have an added incentive to continue raising standards until workplace fatalities are eradicated completely. For more help and advice on improving your construction site safety standards, please get in touch.